I didn't have as much time to myself this weekend as I thought. Phill went sailing and then I spent the weekend chasing around after stuff and then up at his sailing! So when all the fun was happening I couldn't actually do my secret stitching so instead I started another crobot. This one is the cosmic bot. He is so cute. All the designs in this book are only small. This one is about 6cm tall. He is the cutest little thing. Unfortunately I have to give it away. 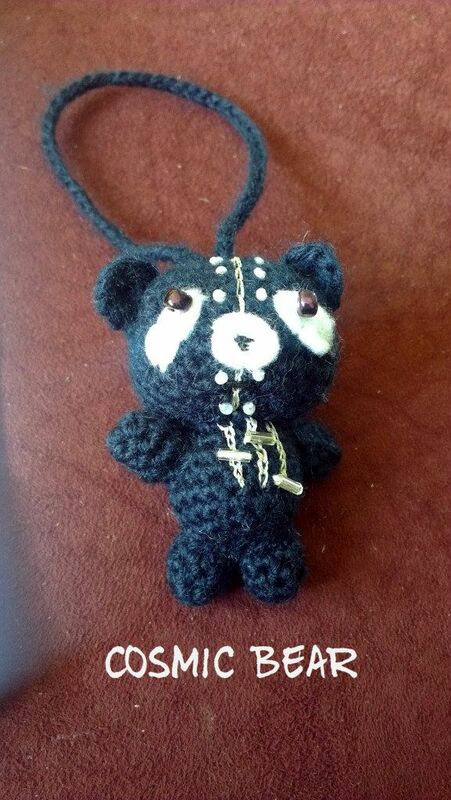 What a cute bear. They are my favorites. Is he crocheted? 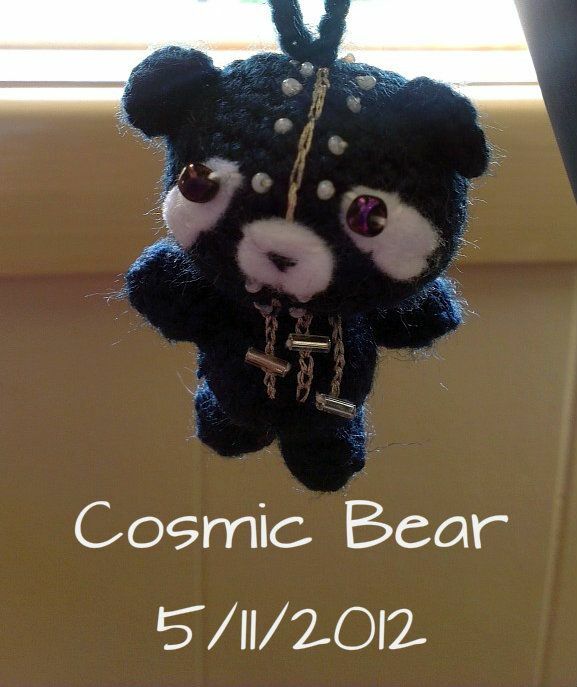 Hee hee...love the cute cosmic bear!!! I have never seen one before, he is very cute.